Health & Fitness… Stay Energized! Summer is just around the corner and you may find yourself heading to the gym more often or being more physically active. 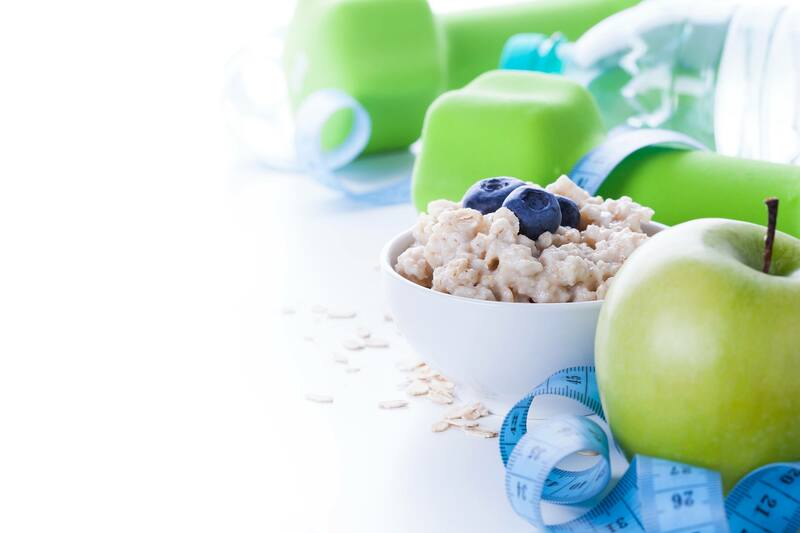 It is important to exercise regularly to stay in shape, but it is also important to eat a variety of healthy foods that will give you energy before and after a workout. Carbohydrates such as fruits, whole grains and starchy vegetables provide our bodies with energy, which help us get through a yoga class or outdoor run. Another important nutrient is protein. Protein foods such as poultry, nuts, milk, cheese and fish helps to restore body tissue and build muscle, which we need especially after a vigorous exercise routine. Both will help you reach your exercise and weight loss goals! Hydrate. Drinking water is important whether you are doing mild or intense exercise. Drink an 8-ounce glass of water 10 minutes before exercise and continue to drink every 10 to 15 minutes during to replenish yourself. Soak 8 wooden skewers in water for 10-15 minutes. Cook the rice according to the package directions. Just before serving, fold in the cilantro. Meanwhile, heat broiler. Thread the pork, pineapple, onion, and tomatoes onto the skewers. Season with salt & pepper. 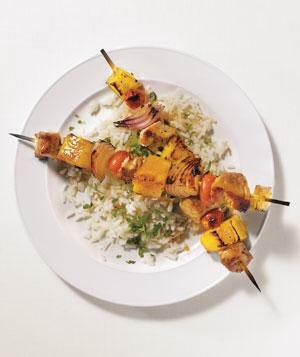 Place the skewers on a foil-lined baking sheet; squeeze 1/2 lemon over the pork. Broil; turning once until browned 8-10 minutes. Squeeze remaining lemon over pork when ready to serve. Serve with the brown rice.